Next year’s Newmarket Open Weekend will take place on Saturday 21st and Sunday 22nd September. 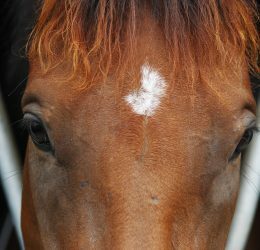 The Open Weekend gives racing fans the opportunity to see behind the scenes at horse racing’s HQ and meet some of their equine heroes. Tickets are not yet available to purchase. Please keep an eye on our website and Facebook page for updates. Don’t miss this years Hacks Showing Class at the Newmarket Open Weekend! Taking place tomorrow at 12pm at the Heritage Centre for Horseracing and Sporting Art (Palace House). 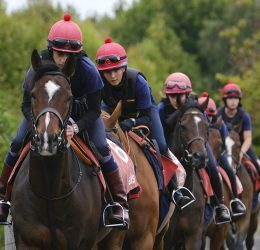 Hacks, including non-thoroughbreds, can be entered if they are a resident at a Newmarket based trainer’s yard and all hacks must have been used as such on the Newmarket Heath. The trainer’s hack is somewhat of an unsung hero of the sport but they play an integral part to all trainer’s yards, acting as trusty steed to many trainers and assistants. Entry to this fun event is free but we do recommend turning up in plenty of time to get a good seat!